Today, Mediacom Mavericks took up their home game against Unilever Asia. Not much of a compliment, but the two teams are at the bottom of the tables in Incorp2 League and it would have been nice of us to win this one, just to inch ahead of the bottom slot. In the absence of our regular skippers, Kishan Khatri went in for the toss, summarily lost it and we were set to chase, which was the option we were anyway hoping to opt for. Before the game started, both teams lined up on the pitch, we put out a bat, and observed 2 minutes of silent prayer, as a mark of respect for Phil Hughes. Our bowling had a solid, if not an exciting start, giving away only 12 runs in five overs shared by Kapil Tuli and Kishan Khatri. Then Kishan had a bad over followed by a couple more from others. 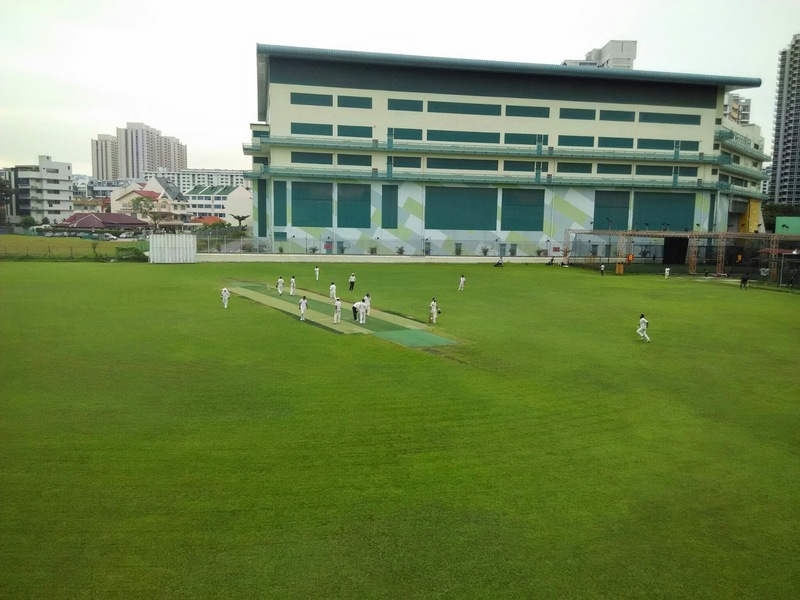 Just as it looked like our good start was going to be squandered away, Tirthman, a.k.a T-Man and Kamal stuck in quick succession to quickly pick 4 wickets, one of which was concluded through a good catch at mid-on by Venkat. Just as we were going into the drinks break, Annemarie was introduced, and she managed to get the batsmen to miscue one to fine leg, where yours truly, very nervously, latched on to his first catch of Incorp League. As per eye witnesses, I was trembling as the ball approached and my legs gave away in joy after holding on to the ball, ensuing in all round hilarity and relief in the Mavericks camp. Going into the drinks break, by which time, we were fashionably late on the over-rate, we had reduced Unilever Asia to 65 for 5. It seemed that there was a distinct possibility of chasing something just over 100. Those hopes were dashed two overs into second hour, when Dushyant Singh, a.k.a Dash, our energetic fast bowler, had a disaster of an over, so bad, that we accepted the choice of replacing him after the penalty of 3 illegitimate balls. The infamous over perhaps had around 10 wides and no-balls. We started our innings through Surendra and Kishan, both of whom looked solid. They rode out the first ten overs, got us to the 50 run mark for no loss by the 12th over. It seemed we had a good chance by then. 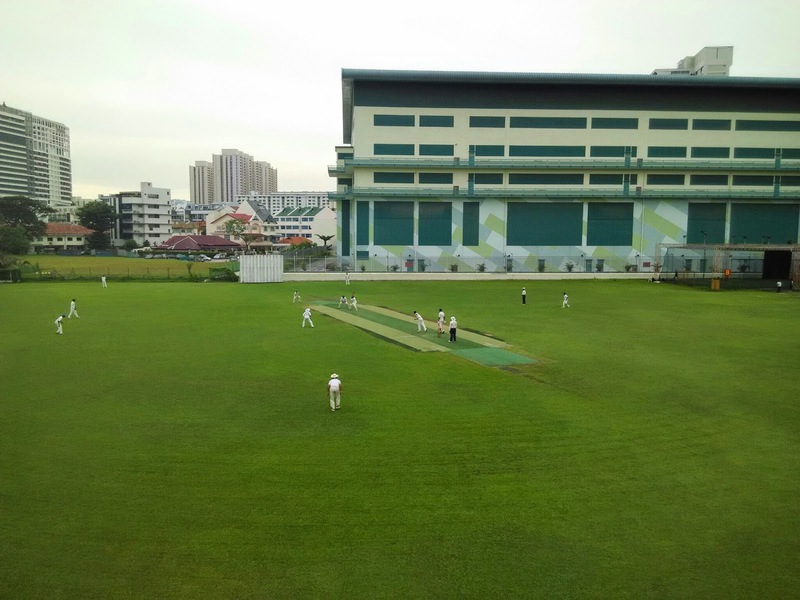 But as is Mavericks habit in 2014, we committed semi-suicide, losing 4 wickets in quick succession, either side of the drinks break, while also freezing up on the run scoring. It looked like a win might be slipping out of our hand. Just then, Kapil and T-man got together to score a nice partnership. By the 21st over, while they were still batting, the required run rate inched up over 5, but T-man quickly clobbered 2 sixes, and followed it up with another six a couple of overs later, to relieve any pressure building up on the chase. Together they took us to scores level. 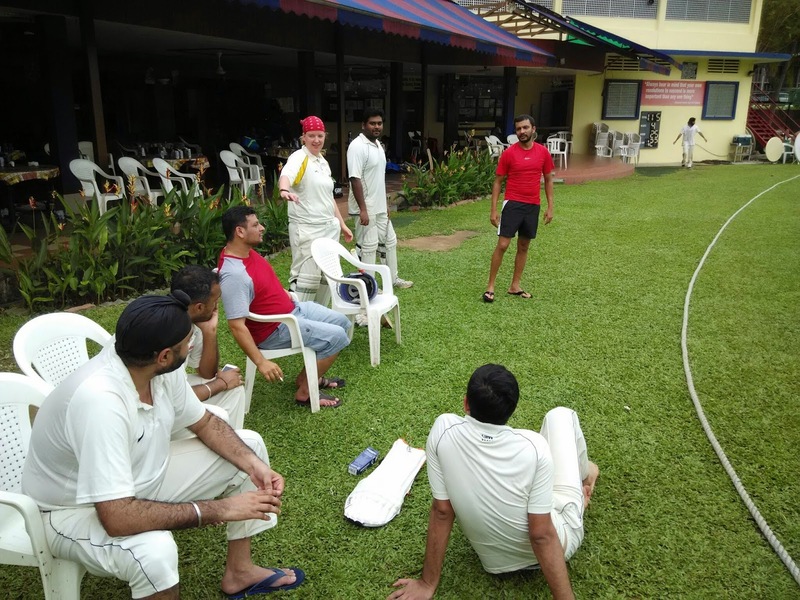 While we should have closed it just then, there was yet another twist in the tale, with T-Man holing out to mid-wicket, then Kapil and Venkat following in quick succession, all while we were just a run away from victory. Eventually, yours truly, who wasn't expecting to go into bat, had to quickly pad up and run in. In the first ball I scored, an inside edge travelled behind stumps beyond the keeper and Annemarie and I quickly crossed over to complete the formalities. It isn't often that Mediacom Mavericks has had a favorable day at the on-field in 2014, but today was an all-round good show from the team. The bowling was mostly disciplined, the fielding acceptable, and the batting mature. 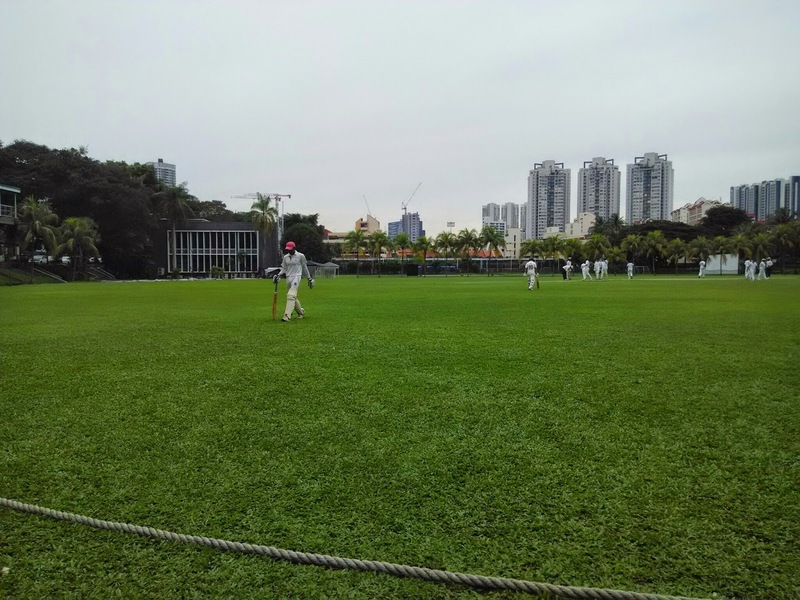 The heroes of the day were T-Man, Annemarie, Kapil and Kamal with the ball, and Kishan, Surendra, T-Man and Kapil with the bat, with T-Man perhaps worthy of Player Of The Day, with 4 wickets and 35 runs. The team now looks forward to completing the season on a high note and the final outing on Dec 6. Please join us at the CSC for some more exciting Cricket action.